AT&T developed ECOMP internally to enable an architecture for network functions virtualization (NFV), an architecture that allows service providers to replace static appliances in their infrastructure with virtual services that are more elastic and agile. In the service provider world, NFV affects everything from customer-premises equipment such as edge routers and firewalls to core infrastructure (Evolved Packet Core in LTE networks). ECOMP stands for Enhanced Control, Orchestration, Management and Policy. It’s a framework of software modules that AT&T uses to manage and automate the lifecycle of virtual network functions (VNFs) in its software-defined networks, from VNF design and creation to operations. AT&T describes ECOMP as an “operating system” for developers to build VNFs on. However, NFV is also relevant to enterprise networks, and the Linux Foundation believes ECOMP will be, too. For instance, last year EMA research found that NFV affects the decision-making of 29% of enterprise network infrastructure teams. Enterprise NFV affects both data-center networks and wide-area networks, with virtualization of routers, firewalls, application-delivery controllers, WAN optimization controllers, and more. Enterprises often rely on their infrastructure vendors to partner with each other to orchestrate various aspects of the VNF lifecycle in their networks. If the Linux Foundation were to adapt ECOMP for enterprise use, it would give enterprises a vendor neutral, open source framework for NFV enablement. The Linux Foundation’s new general manager for networking and orchestration Arpit Joshipura alluded to this when I talked to him a few weeks ago. He views ECOMP as a technology that could support enterprise NFV design, data modeling and FCAPs (fault, configuration, accounting, performance, security). The Linux Foundation has become the center of the open source networking universe over the last couple years, with a variety of projects up and down the networking stack, from orchestration and control down to the data plane. Many of those projects are aimed at serving the needs of service providers, such as the Open Network Operating System (ONOS) and Central Office Re-Architected as a Data Center (CORD). Others serve the needs of service providers and enterprises, such as Open vSwitch and OpenDaylight. Most of the early work that the foundation does with ECOMP will be focused on serving the needs of the service-provider industry. But in the next couple years, we will see the foundation adapting the software to meet the needs of enterprises that are trying to transform their networks with NFV and SDN. Why is CBRS of so important? 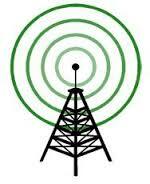 What is 3.5GHz Citizens Broadband Radio Service? 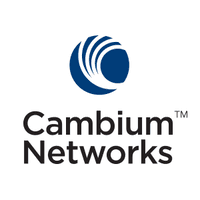 As part of former President Obama national initiative to develop and promote next generation of wireless networks (commonly referred to as “5G networks”), on April 17, 2015 , the Federal Communication Committee (FCC) adopted a Report and Order and Second Further Notice of Proposed Rulemaking (3.5 GHz Order) that established a new Citizens Broadband Radio Service (CBRS) for shared wireless broadband use of the 3550-3700 MHz band (3.5 GHz CBRS Band). Essentially this is the first unlicensed wireless spectrum to become available in US in the last decade, allowing growth of innovation in multiple fields. 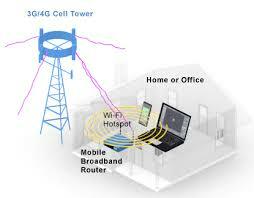 Wireless connectivity has become increasingly important in our everyday life. It is widely used for work, play, and learn by everyone we know. Rural Areas are underserved, preventing large portions of US population from fully taking advantage of all services and innovations. The new CBRS technology will create additional spectrum available for flexible wireless broadband use, leading to improved broadband access and performance for consumers. Additionally, I expect to see wide deployment of wireless broadband in industrial applications – advanced manufacturing, energy, healthcare, etc. – supporting innovation and growth throughout our economy. 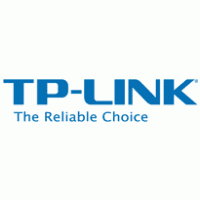 The 3.5 GHz band is an innovation band. As a result of technological innovations and new focus on spectrum sharing, we can combine it with adjacent spectrum to create a 150 megahertz contiguous band previously unavailable for commercial uses. It provides an opportunity to try new innovations in spectrum licensing and access schemes to meet the needs of a multiplicity of users, simultaneously. And, crucially, we can do all of this in a way that does not harm important federal missions. The draft Report and Order implements a three-tiered sharing paradigm, which we have explored in multiple rounds of notice and comment over the past two years. 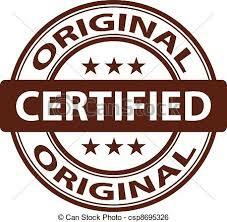 The lowest tier in the hierarchy, General Authorized Access (GAA), is open to anyone with an FCC-certified device. Much like unlicensed bands, GAA will provide for zero-cost access to the spectrum by commercial broadband users. In the Priority Access tier, users of the band can acquire at auction targeted, short-duration licenses that provide interference protection from GAA users. Finally, at the top of the hierarchy, incumbent federal and commercial radar, satellite, and other users will receive protection from all Citizens Broadband Service users. This new tiered sharing paradigm will be enabled by a Spectrum Access System. The SAS takes an age-old role in spectrum management – the frequency coordinator – and updates it for the 21st century through the use of cloud computing technology. Long gone are the days of an engineer working with pencil and protractor (not to mention pocket protector) to coordinate users into a band. Finally – a few words on protecting incumbent federal uses. America’s military uses this band for radar systems that perform vital national security missions. To protect these radars, previous reports suggested very large zones around the coasts within which commercial users could not operate. Thanks to an enormous amount of collaborative work with NTIA and the Department of Defense, these zones are now substantially smaller. More importantly, the draft Report and Order provides a roadmap, recommended by NTIA and DoD, for operations within any area around the coast through the use of new sensor technologies. Indian Telecom on IoT technologies : Industry is looking forward to orchestration of standards, infrastructure and policy framework. As India has slowly started to emerge as a global destination for many of the IoT technologies, the industry is looking forward to orchestration of standards, infrastructure and policy framework in order to generate new business models and accelerate the adoption of technology. Being the providers of network connectivity, telecom operators will play a crucial role in the process especially in M2M communication which would require operators to work around new rating plans and ensure seamless connectivity. “Network providers have to see how they will ensure different kinds of rating plans and accessibility so that the transfer of data happens seamlessly between machines and for this new kinds of rating plans will be required,” said Rishi Mohan Bhatnagar, President, Aeris India and Chairman IET IoT Panel in an interaction with ET. “In India, we also need to ensure a technology and legal framework that will allow machines to migrate network,” added Bhatnagar. Meanwhile, exploring alternate solutions and technologies is as important for operators and some of them have already started working on it. “Today techies are working not only on the GSM, 2G, 3G, 4G or 5G but also on other technologies like LoRa, narrow-band and ZigBee. Tata Communications has already implemented the LoRa network in Jamshedpur and they're trying to do some tests,” told Bhatnagar. The industry believes that as far as the challenges of Internet of Things are concerned, the first challenge lies on the front of standards and interoperability. “There is a lot of hard work to be done whether it is in the evolution of standards, or putting together the necessary infrastructure, aligning the industry and making sure that new business models emerge. We need to ensure that the new collaborations are forged between the government, academia and industry,” said IT Secretary Aruna Sundararajan at an IoT event. Another challenge lies in terms of India’s cultural diversity and the huge population that the technologies have to cater to but at the same time IoT is a solution to many of India’s problems in sectors such as healthcare and energy. “There is no solution in the western world which would be applicable for India as the way it is. India's challenge is huge mass. For the mass that we have to cater, the only way is Internet of Things technology,” expressed Bhatnagar. Recent findings by the IoT World Forum (IoTWF) also suggested that while IoT sounds like it is all about technology, human factors like culture, organisation and leadership are critical. While IoT helps people to get connected using sensors, controllers, devices which are capturing the data but the heart of IoT lies in analyzing the collected data, experts believe. IoT units in India are expected to see a 31-fold growth to reach 1.9 billion by 2020 owing to advances in reliability, accuracy and technology of advance tech measures, as predicted by Deloitte. Currently in India, telecom operators like Bharti Airtel and Vodafone are offering IoT solutions such as location tracker, automative telematics, smart metering, security and surveillance solutions, and managed IoT connectivity platform among others. Indian IT : Taking the country to $1 trillion digital economy by 2022. Minister of electronics and IT Ravi Shankar Prasad will hold a high level roundtable on June 16 with chief executives of telecom, IT, banking, fintech and other industries to chart a roadmap of taking the country to $1 trillion digital economy by 2022. The IT ministry’s meeting comes alongside the telecom ministry’s outreach to the telecom industry. Telecom minister Manoj Sinha is expected to meet top telecom leaders on June 22 to discuss the current state of financial stress in the sector. “The government has partnered with the industry in the design of new services and platforms like MyGov, Digital Locker, E-sign, cloud services, Government eMarketplace, eNational Agricultural Markets, etc… It is time to take this partnership to the next level,” said people aware of the intimations sent out by the ministry of electronics and IT (Meity) to key industry executives. The government aims to increase the partnership with the private sector to create new business opportunities and jobs, as it takes steps towards use of technology for enlarging the purview of the government’s Digital India program. Sources aware of the meeting said that the department will take views from heads of various companies across industries to develop a program that will become the blueprint for increasing the use of digital services for multiple purposes including making financial transactions. Part of the agenda will also be discussions on issues plaguing the sector, such as concern over jobs in the IT sector, which have been slowing due to shifts in technology, automation and growing protectionism in developed markets. The issue of the US government reviewing the H1-B visa program may also be discussed. The discussions, sources said, will include ways to find solutions to these issues among other things. In a separate development, the telecom minister Manoj Sinha will hold meeting with telecom leader including Sunil Bharti Mittal, Kumar Mangalam Birla and Anil Ambani, for understanding financial problems being faced by the sector that has a debt of nearly Rs 5 lakh crore. The meeting will take place after the inter-ministerial group (IMG) – created to resolve financial woes of the telecom sector – completes its company-wise meetings. The IMG has called Reliance Communications, Tata Teleservices, Aircel and Sistema Shyam Teleservices for a meeting on June 12. The other major players -- Bharti Airtel, Reliance Jio, Vodafone and Idea -- have been asked for a meeting on June 15 by the panel, while state run carriers will be called on June 17, ET had reported previously. Indian Telecom industry is at its weakest, govt will have to step in. 3) Reliance Jio which has defined the technological and strategic landscape. In future, the industry will see slower investments and more consolidation. With so much supply in the market, revenue will grow with usage albeit with a lag. We expect 11 per cent revenue CAGR over the next 5 years but most of the growth will be back ended post industry consolidation. The weaker players will have to exit but their debt presents a structural problem for an exit. In this regard, the government might need to step in to improve the industry profitability to ease the exit of players and solve the structural debt issue. The government has many levers to improve the industry profitability which include reducing service tax to spectrum usage charges. 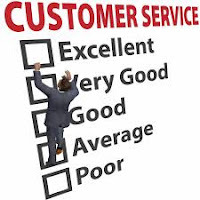 All or any of these measures can improve the industry profitability significantly. The Indian telecom industry is at a critical juncture and faster improvement in profitability will be crucial for long-term health of the sector. Industry consolidation is critical but government interventions to improve industry profitability will help the sector immensely. The Indian telecom sector has immense potential for growth but realising the potential is in the hands of government and regulator. India’s LTE download speeds marginally faster than global 3G speeds. According to a report by OpenSignal, download speeds in India have dropped more than one megabit per second in the last six months as traffic has surged, mainly on the back of Reliance Jio Infocomm's free services. Rivals such as Bharti Airtel, Vodafone and Idea Cellular have also slashed prices and offered freebies, further adding to demand for data services. In fact, India--ranked 74th--came below the likes of Pakistan and Sri Lanka and just ahead of Costa Rica in terms of speed. Singapore scored the highest in 4G speed, while South Korea scored highest in 4G availability. The global average 4G download speed was 16.2 Mbps. Consumer complaints over sluggish pace have pushed the Telecom Regulatory Authority of India (Trai) to look closely at what carriers are providing. “The widespread adoption of wireless broadband services in the last few quarters makes it particularly important to take into account the problems that may be faced by the users of these services, particularly in relation to data speeds,” the regulator said in a consultation paper on the topic. India had 217.95 million data subscribers at the end of 2016, while average data usage has risen from 236 MB a month in September to 884 MB in December 2016, Trai data showed. The regulator had raised the minimum level of broadband download speed to 2 Mbps on January 1, 2015, from 512 kbps earlier. The Mukesh Ambani-owned Jio has helped India make a big leap in terms of global 4G availability rankings, with users able to find a signal 81.6% of the time in the first quarter ended March, up from 71.6% in the third quarter of 2016. Jio’s 4G availability was at more than 90%, while the other major operators all fell below 60% in the tests conducted by OpenSignal. Still, the score was high enough to rank India at 15 among 75 countries in the State of LTE report. However, OpenSignal termed “Jio’s success as a double-edged sword,” saying that the onslaught of data usage which Jio’s launch generated has taxed its network capacity, which has driven down 4G speeds. Analysts said the mobile data explosion driven by the Jio launch and freebies or promotional offers by incumbent telcos, is putting huge pressure on mobile network infrastructure, especially in urban areas, leading to a capacity crunch which results in low speeds. Typically, 10% of sites account for 50 % of data traffic. According to Motilal Oswal analysts, circle-wise data consumption indicates that 18-20% of overall consumption happens in the top-3 metros against 10 % in 'C ' circles, implying that data usage in the top-3 cities is twice the usage of all the 'C ' circle states put together. Thus, despite pan-India data capacity at 8-10x consumption, telcos need to add capacity in top-tier cities. OpenSignal said it collected information from consumer smartphones and under normal usage conditions compared with drive-test data, which attempts to simulate what a user might experience by using the same devices to measure network performance in a small number of locations. OpenSignal took measurements from millions of smartphones owned by users who have downloaded its apps. Data published on Trai's website showed average download 4G speed on the network of Reliance Jio highest in April month at 19.12 megabit per second (mbps), pipping incumbent telcos Bharti Airtel, Vodafone and Idea Cellular. Idea Cellular, which recently completed pan-India mobile broadband rollout with the launch of 4G LTE services in Mumbai using 2100 MHz band, stood at second spot with 13.7 mbps average download speed, followed by Vodafone India at 13.3 mbps download speed. Average download 4G speed on the network of Bharti Airtel was lowest at 10.15 mbps in the month. Notably, Bharti Airtel was rated as India's fastest 4G network by Ookla's Speedtest in January this year. Trai data showed average upload 4G speed on the network of Idea highest in April month at 8.45 mbps in the month, followed by Vodafone and Reliance Jio at 7.3 mbps and 5.3 mbps speed, respectively. Average 4G upload speed on Bharti Airtel's network was lowest at 4.6 mbps in the month, as per Trai data. 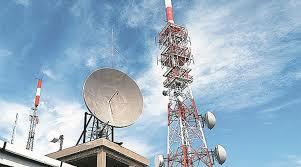 Indian Telecom industry's cash deficit at Rs 1.2 lakh crore. Intense tariff war and high taxes are expected to squeeze Indian telecom operators, leaving a gaping Rs 1,20,000 crore deficit between the industry's earnings and its debt/payment commitments this year, says debt-laden Reliance Communications. With annual interest payments, loan re-payment obligation, spectrum-related outgo and capex expected to add up to a Rs 1,62,000 crore tab, the operators could find it tough to meet their debt and payment needs with Rs 43,000 crore of EBITDA or operating profits in 2017-18. The earnings before interest, tax, depreciation and amortisation (EBITDA) is a measure of a company's operational performance. "The reduced EBITDA (Rs 43,000 crore in FY18) of the industry is insufficient to cover the existing debt obligations and deferred payment commitments," RCom cautioned in its latest investor presentation. The gross liability of the telecom industry on account of debt as well as payments related to radio waves amounted to a whopping Rs 7,75,000 crore, as on March 31, 2017. Stating that 2016-17 recorded the first-ever decline in industry's revenue, RCom said the combined revenue went down to an estimated Rs 2.10 lakh crore. This resulted in fall in EBITDA by Rs 12,000 crore, meaning significantly lower operating cash flows for telcos. "Further in FY18 (this fiscal year), the revenue is estimated to decline further by Rs 25,000 crore," RCom said referring to the industry's weak financial metrics. RCom Chairman Anil Ambani last week stepped in to restore investor confidence after the company's shares were hammered in the wake of poor fourth quarter and FY17 showing, and debt downgrade by rating agencies including Moody's, Fitch, ICRA and CARE. In a rare public appearance, he said that the debt-laden RCom has been given a breather of seven months to service its debt. This is a part of a strategic debt restructuring (SDR) programme that a consortium of lenders has invoked for the company, that is saddled with Rs 45,000-crore debt. Like its larger rivals, RCom too has been hit hard by intense price war unleashed by Reliance Jio, owned by Anil Ambani's elder brother and India's richest man Mukesh Ambani. RCom's presentation noted that the voice revenue per minute for the industry has seen a 25 per cent decline in the last two quarters, while data revenue per MB have fallen by 40 per cent. It cautioned that the sector could be staring at 30,000 to 40,000 job losses over the next 12-18 months, compared to 10,000 job cuts last year. Underlining the high incidence of taxation, RCom said telecom is "one of the highest taxed sectors" of the Indian economy and that no other country in the world has such high tax burden on telecom sector. The cumulative tax incidence adds up to about 33 per cent (of revenue) in India compared to 20 per cent in EU, 22 per cent in China and 17 per cent in the US. Incidentally, India, with over 1.16 billion mobile users is the second largest telecom market in the world, after China. Noting that the government has set up a panel to resolve the financial crisis in the telecom sector, RCom said industry wants deferment of payment liability with respect to levies (imposed by the Telecom Department) and spectrum charges by three years. The industry also wants a 3-year moratorium on service tax/GST, for short term cash flow relief. 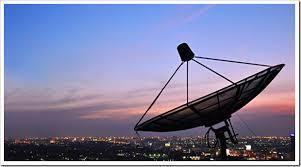 Other demands include reduction of licence fee to five per cent (from 8 per cent), and flat one per cent spectrum levy. Interestingly, at a time when telecom regulator is reviewing the call connect charges, RCom said that termination rate should be discontinued, given the free or low voice tariffs environment. Ericsson - From Healthcare to Homecare- A 5G enablement. "Key findings include the decentralisation of healthcare moving from hospitals towards homes. Also, patient data is becoming more centralised, thus turning hospitals into data centers. Increasing dependence on wearables and remote treatments makes 5G essential to provide reliable and secure services." Next-generation networks will be pivotal in healthcare transformation, providing transmission efficiency in an ecosystem of feedback and alerts, mobility and low latency, according to Ericsson's latest consumer lab report. The report titled 'From Healthcare to Homecare' reveals consumer insights on the impact of 5G on the future of healthcare and its transformation across preventative, routine and post-operative care. The networks will become a vehicle for a range of applications, including remote monitoring through medical-grade wearables, virtual doctor-patient interaction, and remotely operated robotic surgery. Key findings include the decentralisation of healthcare moving from hospitals towards homes. Also, patient data is becoming more centralised, thus turning hospitals into data centers. Increasing dependence on wearables and remote treatments makes 5G essential to provide reliable and secure services. Evolving consumer expectations, anytime patient data access, and increased internet use are also making way for non-traditional players to disrupt the healthcare industry. NEW DELHI: Samsung India on Friday signed an MoU with the Ministry of Micro, Small and Medium Enterprises (MSME) to open two more technical training schools and to renew the partnership for 10 existing schools being run across the country. As per the Memorandum of Understanding (MoU), the technology giant will open two new MSME-Samsung Technical Schools in Bengaluru and Jamshedpur, the company said in a statement. "We are committed to creating an industry-ready workforce and provide industry-oriented skills to our youth under the Skill India programme. Samsung has been a valuable partner in our quest to create a vast pool of talent," Kalraj Mishra, Union Minister for MSME, said in a statement. Reinforcing its commitment to the government's "Beti Bachao, Beti Padhao" campaign, Samsung also announced the MSME-Samsung Technical School Scholarship programme for girls and differently-abled trainees. A Meritorious Reward Programme for toppers at these institutes has also been launched. Under the MSME-Samsung Technical School Scholarship programme, 1,000 girls and differently-abled trainees, who have successfully completed the basic course, will be given a scholarship of up to Rs 20,000. The toppers among Samsung Technical School students will also be given a reward of Rs 20,000. "The government, with its 'Beti Bachao, Beti Padhao Yojana', has been trying to generate awareness about various welfare schemes for girls in the country," Harsimrat Kaur Badal, Union Minister for Food Processing, said. Meanwhile, H.C. Hong, President and CEO of Samsung Southwest Asia, said: "Samsung is proud to help impart technical skills to youth of this country. Our collaboration with the Ministry of MSME has enabled us to tap the potential of youth and make them job-ready with the help of the Samsung Technical School initiative." At Rs 4 lakh crore, banks' exposure to the telecom sector is staggeringly high -- enough to raise eyebrows over concerns regarding the long-term viability of the business. Here is a brief look at how it came to a sad pass. At Rs 4 lakh crore, banks' exposure to the telecom sector is staggeringly high -- enough to raise eyebrows over concerns regarding the long-term viability of the business. The recent downgrades of Reliance Communications debt is perhaps the first nail in the coffin for the sector, which is finally waking up the idea of consolidation amid strong competition from Reliance Industries-owned Jio. Here's how the industry ran into a quagmire of debt. Post liberalisation of the economy in 1993, the industry's main turning point came in 2008, when India logged into the 3G craze. Two years later, 3G-enabled mobile and data services were launched, which saw private operators entering the fray with their services. This, forever, changed the consumption patterns of telecom users. The result was visible. After US and Japan, India boasted the third largest number of Internet users of whom 40 percent use a mobile phone to access the web. India also ranks as one of the cheapest providers of broadband speed in the world. The large capital required for the setup of infrastructure and for the right of way on the broadband spectrum, a complicated tariff system and a lack of domestic content were challenges which led to the rise in broadband. Since 2010, the government has been opening up spectrum on certain frequencies to telecom operators. In FY16, with many of the players in debt, and facing competition, the government raised Rs 65,789.12 crore in revenue, falling short of its estimation. This figure paled in comparison to the Rs 1.1 lakh crore takings from the last auction held in March 2015. Additionally, the capital expenditure has shot up significantly in the last decade as the operators have been improving the efficiency of their networks as well as accommodating the exponential growth in data consumption. The entry of Reliance Jio proved to be a disruptive force in the industry. Its free voice and data services, which were offered first in September 2016, caused competitors Bharti Airtel, Vodafone and Idea Cellular to bring down tariffs, leading to a major deflation of prices. Data packs of up to 2 GB saw prices being slashed by around 67 percent, whereas 1 GB packs saw prices slashed up to 45 percent. Such pricing measures have raised concerns about mobile data revenue growth in the short-term and long-term sustainability in terms of revenue generation. According to Telecom Regulatory Authority of India (TRAI) data, broadband subscribers in India at the end of October 2016 stood at 218.42 million. Of that lot, almost 200 million accessed the internet through mobile devices or dongles. Also, almost 75 percent of telecom companies’ revenue comes from voice. Thus, the rising operational costs, which include the debt undertaken for the spectrum auctions, as well as the deferred payments for such auctions and the slashed tariff rates to remain afloat in the market have kept the operators under high pressure. While the big leagues have a healthy rainy-day fund to support themselves, smaller telecoms will either have to exit or get absorbed. The Reserve Bank of India (RBI) on Tuesday said that banks ought to provide a higher provisioning for the telecom sector, beginning from the current quarter. A plan is also in the pipeline to allow the tenure of payable loans owed by telecom players to be extended. ABI Research forecasts worldwide fixed wireless broadband subscribers will grow at a 30% CAGR to top 151 million in 2022. Exponential growth of 4G LTE coverage and capacity is driving wireless service growth for fixed broadband access, while fiber-to-the-home (FTTH), xDSL, and cable technologies reach nearly 50% of global households. As 5G standardization approaches completion, the technology will significantly accelerate global fixed wireless deployments. ABI Research forecasts worldwide fixed wireless broadband subscribers will grow at a 30% CAGR to top 151 million in 2022. Currently, fixed LTE broadband access is mainly deployed in remote areas where fixed line infrastructure is poor and it is not commercially feasible to deploy fixed networks. While government initiatives, high data transfer rates, and a large capacity are all attractive features for fixed LTE deployments now, fixed wireless broadband deployments will be further accelerated by their 5G successor in the years ahead. United States operators AT&T and Verizon already announced plans to deliver broadband access to businesses and residential customers using 5G fixed wireless networks. The companies aim to begin 5G fixed wireless rollouts later this year. ABI Research forecasts LTE will grow from approximately 30% of global mobile subscriptions in 2017 to 50% in 2024. The most advanced LTE service, Gigabit LTE, is expected to near two million subscriptions globally in 2017, which is less than 5% of LTE Advanced Pro subscriptions in 2017. Gigabit LTE devices, launched in 2017, will far exceed the subscription numbers, as few cell sites are expected to reach Gigabit LTE speeds in 2017. Gigabit LTE is a pivotal piece of an advanced 4G mobile network that can support an operator’s mobile service goals over the next six to eight years and beyond. As Gigabit LTE offers higher bandwidth to consumers and very efficient use of spectrum for operators, ABI Research expect more operators to launch Gigabit LTE globally over the next year and a half. Sprint launched the first Gigabit LTE service for mobile devices was in New Orleans, Louisiana in March 2017. Telstra launched a Gigabit LTE mobile hotspot service in Sydney, Australia in February 2017, and is expected to support Gigabit LTE mobile devices as they become available. Monaco Telecom launched a mobile Gigabit LTE service in April 2017. ABI Research expects additional launches to take place this year from all key operators in the U.S., as well as by some operators in Asia, Europe, and Canada.